Customer is responsible for all shipping and freight charges, FOB seller's warehouse. Orders are normally shipped by UPS. Seller will not be responsible for shipping delays caused by any carrier. Shipping Orders for in-stock items will be shipped within 48 hours for orders placed 8am to 5 pm, Monday through Friday. Shipping rates are calculated based on weight, destination, and shipping service. Your final shipping and handling amount will be displayed before you place your order. Customer must notify Seller at time of purchase that signature is required for residential deliveries. Seller is not liable for any lost or stolen goods that are delivered to a residence without requiring a signature. If at the time of checkout, a mixture of in-stock and backordered items have been ordered, Virtus Tactical will ship all in-stock orders in one shipment followed by a second shipment of backordered items once backordered items become available. Shipping and handling charges for the second shipment will be included and charged during the transaction made at the time of the first shipment. Any item covered under NFA regulation, which include but are not limited to: Silencers, Short Barrel Rifles (SBR's), Short Barrel Shotguns, Machine Guns, Any Other Weapons (AOW's) must be shipped to a licenced Federal Firearm Licensee (FFL) who also has a Special Occupational Tax Stamp (SOT). Both the FFL and SOT must be current and Virtus Tactical must recieve a copy of the transfering FFL license as well as a copy of their SOT. 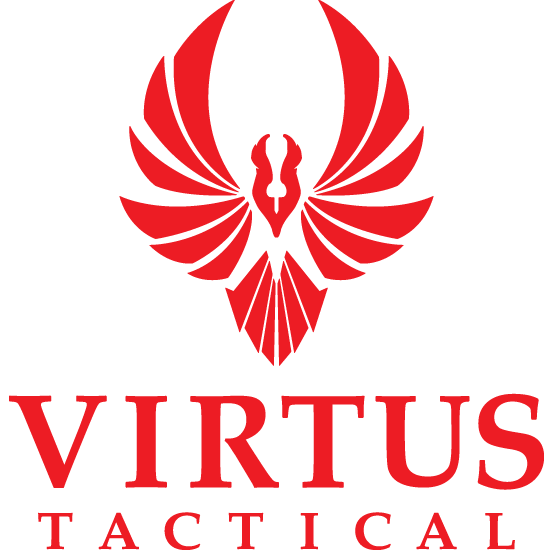 Once recieved and verified Virtus Tactical will file the necessary transfering paperwork (ATF Form 3) to transfer the restricted item to the transfering dealer of choice. Once the item(s) is received by the transferring FFL/SOT of choice, they will complete the transferring process which will include but not limited too: Filing ATF Form 4 on your behalf, Collecting the required $200 per item tax paid to the ATF, and any additonal local/state requirements.